I have been inspired by Grant’s work here to start a preservation project of my own as an owner of both an Altair 8800A and an Altair 8800B. To that end I have the following manuals. I can scan these in as images with a decent resolution (300 to 9600 DPI). I am looking for community response to help me decide the scanning resolution desired and which manuals would be of greatest interest to be done first. My Altair 8800A manual does not include the assembly instructions. Grant’s information here is much better than mine. The other manuals are complete as far as I can tell. I scan all manuals at 600dpi B/W and color. This is easy for me because I have access to a duplexing sheet feed scanner. Drop in 750 pages and wait 2 hours. I don't see anything over 600dpi being worth it. Its a long process. I usually spend 50-100 hours on computer kit manual depending on the quality of the source material. Its a labor of love. As far as I am concerned I want the kit builders to have the best quality available. Plus, once the initial work is done its a File->Print operation. No sense in doing less than my best. I have made available the Kenbak and 8800 manuals for free. These manuals are high quality and text searchable. I have not uploaded the 680 manuals yet, but they will be up soon. I am a digital pack-rat and archivalist. I save EVERY step above, so that if I want to go back and change something I can. With hard drives being so cheap it only makes sense! I will upload some pictures of the process. I don't expect you to take these steps. Just scanning the manuals is good enough. The raw data can be processed any time in the future. If you want, I can scan them for you. I don't know what kind of equipment you have access to. Screen capture of guides for straightening page. I delete the specs after rotating because sometimes a slight rotation will cause a single pixel to be a small group (from the transform). I catch more if I delete after the rotation. 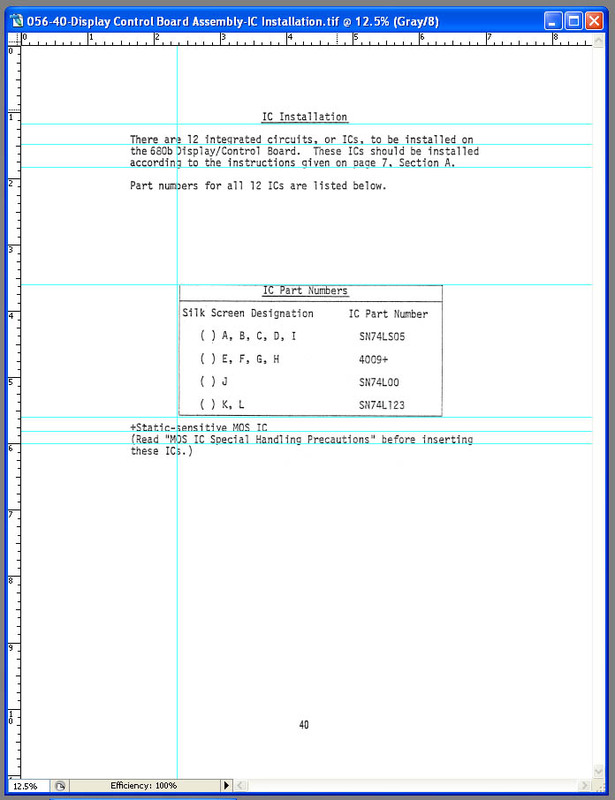 Screen capture for the margin process where pages are centered/located and page numbers are placed. In my manuals you can flip through them and the page numbers don't move. This is a screen capture of the Altair 680 project. I use a very simple file naming convention. I RAR the folder and then increment the 01/02/03 number as well as change the last part of the name to reflect the current process. The archive names are actually folder names. These manuals were provided to me by Steve Sheppard. In fact, I didn't think he wanted them back because I thought they were copies. The paper was so white and new that I thought it couldn't be a vintage manual! Some manuals don't go as high because they were at one time part of what I thought was a BIG manual, but it had a few small manuals at the end. 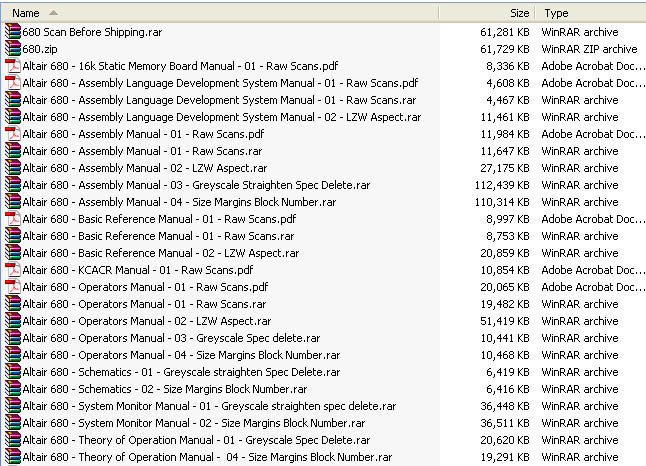 The PDFs are big, but "you get what you download"... Not included here for some reason is the VTL manual. Grant you are truly doing some amazing work. My scanner is an Epson CX-6400. It's a flat bed but without any kind of a feeder. The results are good but it takes a lot of time. I don't see any point in duplicating your wonderful work but some of my other manuals and computers notes might still be of use. 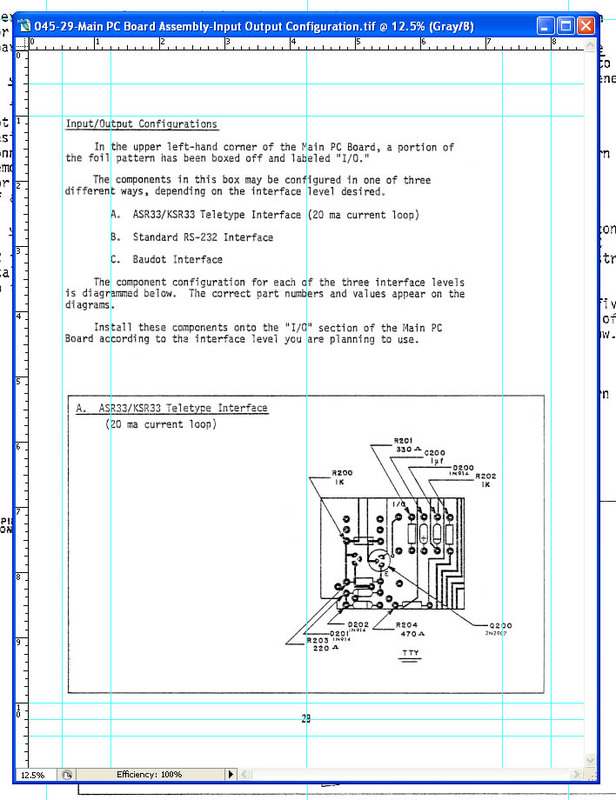 I also have some notes on cable configurations for the MITS 88-2SIO, a note for how to get 19,200 baud out of it. An additional circuit for the 88-DD (MITS FD drive “buffer” boards) that reduces the head “knocking” by providing a “time-out” before head unload occurs. These were modifications worked out during the time I worked for the Altair Computer Store. Are you offering an 88-2SIO kit at this point?